"My experience with Gardner & Stevens in the handling of my mother’s estate was truly impressive. Very little was expected of me and the process went so smoothly, systematically. All transactions were documented, copies made and sent to me; I was notified via phone calls and correspondence of every step throughout the handling of the estate. Connie Stevens was wonderful. She was always friendly, cheerful, organized and attentive; no question or detail went unanswered – all concerns were addressed. I trust Gardner & Stevens and recommend them to all." "We thank you for your guidance and assistance in our Will and estate planning process." "I had the opportunity to use the services of Gardner and Stevens in the process of settling my dear mother’s estate. Connie helped make the process as smooth as can be expected, and never failed to answer my questions or address a sibling’s concern, both respectfully and in a timely fashion. I have nothing but a favorable review to offer and would heartedly recommend them to anyone whom may ask." "I hired Gardner & Stevens to handle the estate administration for my mother’s estate. Throughout it all, Connie Stevens was a friendly, extremely patient voice of reason. She answered by numerous questions in a timely manner and was always friendly and knowledgeable. I am grateful for her work on my behalf. The firm’s fees were appropriately set and documented, and I found the fees to be reasonable. " "Very pleased with your estate administration services." "Gardner & Stevens is such an amazing group. Mr. Stevens took his time to understand my personal injury case, and helped me through it every step of the way, along with his amazing staff. They always kept me in the loop and made sure to go through me before any decision was made. They were all so helpful and friendly, and I could not have asked for or dreamed of a better team. Thank you so much!" "We thank Gardner & Stevens, P.C. for all their help in our estate planning and other matters." "I have been very pleased with your services. I found good lawyers in Gardner & Stevens for life." "Extremely pleased with your services in connection with my late husband’s estate. Would highly recommend your firm. Thank you so much." "Thanks for being great lawyers! Always great advice!" "Gardner & Stevens, P.C. capably assisted me through a most difficult time in my life – a long, complex divorce involving division of all of our assets. They were always polite, kind and pleasant. I am very satisfied with the result. I will continue to use them for all my legal matters in the future." "Thanks again to Gardner & Stevens for such great service. If I am ever needing a lawyer, I will definitely use your firm!" "My mother’s estate was handled with outstanding service. Both Attorney Gardner and the staff went out of their way for us to achieve our goals and settle the estate. They were always there with answers to our questions. Our calls were handled promptly and professionally. I will surely return again when I need legal services." "We cannot thank Attorney Gardner enough for helping us at a difficult time. He was extremely helpful, answered all of our questions, and gave us a plan to proceed with confidence." "I have gone to the office of Gardner & Stevens to deal with multiple issues. John Stevens has prepared our wills, but he has also helped us with job contracts. Recently, we had to have John deal with a fender-bender where the at-fault party was unwilling to pay. John was able to successfully handle this issue. We have found him to be dependable and also highly skilled. We believe John is the type of lawyer who is great at his job, but also knows your name. The Gardner & Stevens staff has been professional and courteous. We have also referred other friends to his office and they were happy with the referral. They told me John efficiently handled their issues and they didn’t feel like they were over billed. I personally went with one friend to John’s office as she needed some support as she was dealing with an emotional estate issue. John was very compassionate as my friend cried while discussing some sensitive details of the problem. I have waited way too long to say good things about John – who for years has been our most reliable source for legal advice." "Two years ago I decided to incorporate my practice. As a doctor, I know a tremendous amount about aiding the healing processes of the human body, but very little about how to incorporate a practice. I turned to attorney John Stevens of Gardner and Stevens, P.C. for help. Their legal team quickly completed the process for me so I could keep my focus on my family and on my patients. In the two years hence, I have returned to them for legal guidance several times and have even referred friends and family members. There is simply no substitute for the confidence that a quality legal team provides when you are navigating the foggy waters of the law." "I am and continue to be, very pleased and impressed by the outstanding service I have received in my custody case from Kurt Gardner and Gardner and Stevens, P.C. I would highly recommend Kurt Gardner to anyone who is looking for a good, honest and upstanding attorney. He and the office staff have always been professional, courteous and most helpful in explaining the complex issues concerning my case. I am so thankful I was referred to him." "A friend suggested the firm of Gardner and Stevens, P.C. for my family law matter. I scheduled a meeting with Attorney John Stevens whose professional expertise became evident at our first meeting. Attorney Stevens represented me as I had hoped he would. I was kept abreast with all of his correspondence with the opposing attorney and we frequently discussed my options. At no time did I feel that we wavered or agreed to terms that were unfavorable for me, his client. In the end I truly feel that I was well represented, kept informed and paid reasonable fees." "My wife and I needed someone to handle my father’s estate. While driving in Ephrata we passed the law office of Gardner and Stevens and made an appointment with Kurt Gardner. With their friendly and professional demeanors, Kurt Gardner and his estate paralegal, answered all our questions and informed us of all the charges we would incur if we decided to use their services. Agreeing to use their services was one of the BEST decisions we made during this trying time. They walked us through the various steps of estate administration which included real estate and personal property, etc. They replied promptly to any and all questions and never made us feel like we were bothering them. We were so pleased with them that we decided to use Gardner and Stevens to represent us in any and all present and future legal issues. Without hesitation, we highly recommend the office of Gardner and Stevens." "Correctional Diagnostic Imaging, Inc. has utilized the services of Gardner and Stevens for the past two years for all its corporation matters. Their approach of law is aggressive and methodical while maintaining high standards of integrity and moral ethics which is rare in today’s legal environment. The practice of Gardner and Stevens is user friendly, providing prompt responses with explanations in laymen’s verbiage. We would highly recommend Gardner and Stevens for your business needs." "Over the past seven years Attorney John Stevens has provided me with excellent counsel and excellent representation in matters ranging from Family law to Tax law. I have been very pleased with John’s counsel and professional handling of these issues." "Not being satisfied with our prior lawyer, we scheduled an appointment with Kurt Gardner. He explained everything to us in an understandable manner and explained all possible outcomes. Whenever I had questions, I called and Kurt would answer them the same day or the following day. When there was new information, he called right away to let us know the progress. I am glad the case is over now, but if anything ever happened again, I know the first lawyer I will be calling!! Thank you again for the wonderful experience." "I hired Gardner and Stevens when my employer tried to deny my Unemployment Compensation benefits. They took my case to a Hearing, where they put together an excellent strategic plan which they then executed with authority. I won the case and received the benefits I deserved. I give them my highest recommendation." "What a blessing to have Kurt Gardner and his staff manage the settlement of my sister’s estate. The Gardner Stevens team combined the right amount of sympathy with quality professionalism. When the sale of real estate became complex, everyone at Gardner and Stevens took action, overseeing wire transfers and proofing contracts and deeds. They simplified an arduous task and were the primary reason that deadlines were met despite a plethora of last minute changes. I whole-heartedly recommend Gardner and Stevens not only because of their professional capabilities, but for their sincere attitude of caring service." "Gardner and Stevens have been representing me for over five years. They have handled my divorce, estate planning and other general legal matters. They make everything easy to understand and it is a pleasure to deal with them. I highly recommend them and their staff." "Thank you to all in your office for helping settle my mother’s estate. My deepest gratitude to your estate paralegal, for all her help and direction. Everything was handled efficiently and with no stress on me." "Thank you so much for all you and your staff have done in helping me with my mother’s estate. Since her estate was going to be hard for me to handle, it truly eased my mind knowing everything was taken care of legally. Your staff was professional and helpful. Your estate paralegal was a gem in keeping me updated and helping me understand things I would have never understood how to handle." 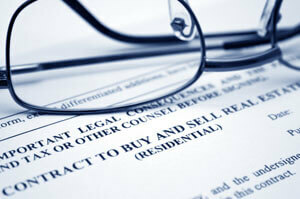 "Gardner & Stevens law firm provided fast and friendly service. They kept me informed every step of the way during the legal process. I always felt in control of my legal decisions and working with them was like a true partnership." "Gardner and Stevens did an exceptionally good job handling my bike accident claim. They were completely professional from the first interview to the final settlement. The staff were always helpful and supportive. Gardner and Stevens took the time to make my claim fully protected. I look forward to working with them in the future." "Thank you for helping us with our estate planning needs. We are grateful that you answered all of our questions. We will recommend your practice to our friends." "I consulted Kurt Gardner about my family law case. He is an outstanding lawyer! The office staff were very professional and helpful. I would highly recommend Gardner and Stevens!" "Mr. Stevens was very helpful and explained all of our options. He is very knowledgeable and left us feeling better about our custody case." "Our experience with Gardner & Stevens was a very pleasant one, from beginning to end. The firm and everyone we dealt with were informative, kind, and courteous. We started using the firm after my father’s death and used them to navigate through wills, an estate sale and finally closure of all legal matters after the passing of our mother. I would definitely recommend this firm to other families." "I want to thank you for helping me with my divorce. The outcome was what I hoped for. I appreciate what you accomplished and the time you did it in. I referred you to my co-workers since you were able to handle my case in a timely and professional manner." "Your staff was extremely professional and gracious. They took care of my needs promptly, and provided invaluable service." "Your staff was courteous, friendly and helpful. It was a pleasure working with your firm."